I imagine that there are a lot of people out there in the world who recognize that song whether they are musical theatre fans or not! There's something about Annie that is impossible not to love. I've never had the privilege of seeing a professional production of this show before this week - and what a treat it was! The touring production is directed by the show's original lyricist and director, Martin Charnin. 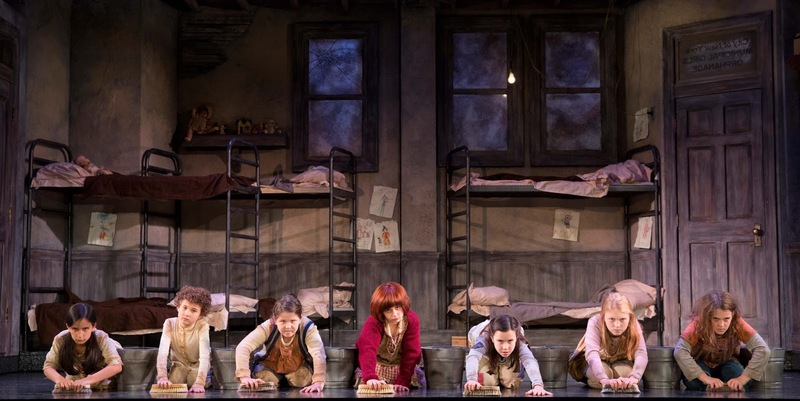 Annie’s touring cast features a 25-member company. 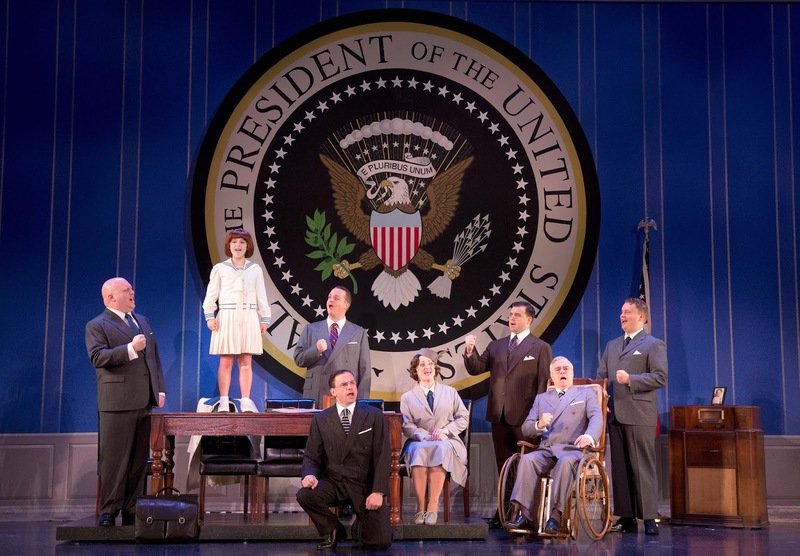 10-year-old Issie Swickle makes her tour debut in the title role of Annie. She is joined by principal cast members Gilgamesh Taggett as Oliver Warbucks, Lynn Andrews as Miss Hannigan, Ashley Edler as Grace, Garrett Deagon as Rooster, Lucy Werner as Lily, Jeffrey B. Duncan as FDR, and Sunny, a 5-year-old rescue terrier mix as Sandy. From start to finish, the spirit of the show is all about optimism and invites you on a journey back to the big, bustling city of New York. 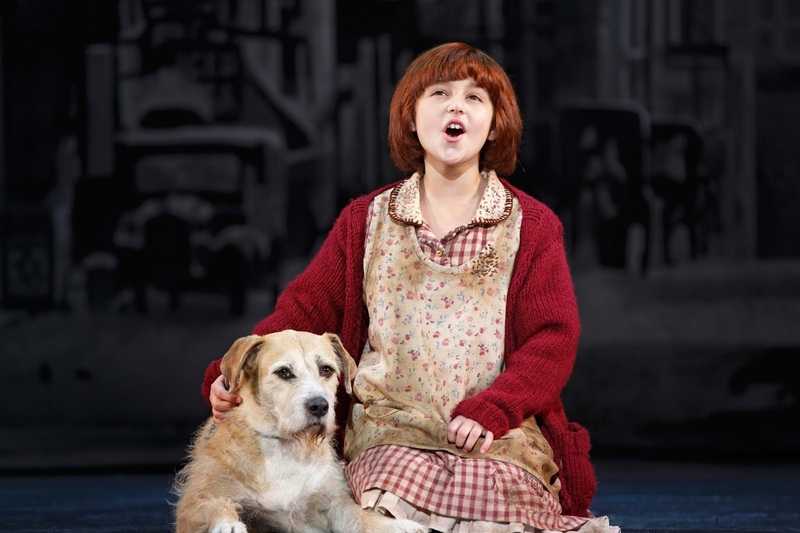 Annie debuted in 1977 on Broadway and has played to audiences worldwide (in 28 countries) since that time. There is no lack of familiar music in this story - from Annie's "Maybe" to "It's the Hard Knock Life" to "You're Never Fully Dressed Without A Smile." I thought the set design was phenomenal, both the detailed skyline backdrops and interior of Oliver Warbucks' home. The four pieces of moving set that consisted of both indoor and outdoor buildings and columns were my favorite part. I love versatile set pieces! The cast was strong, led with much joy by Issie Swickle - who belted out Annie's songs and blew away the audience with her spirit. Gilgamesh Taggett was appropriately abrupt as Oliver Warbucks, but softened out in time for the end of the show. 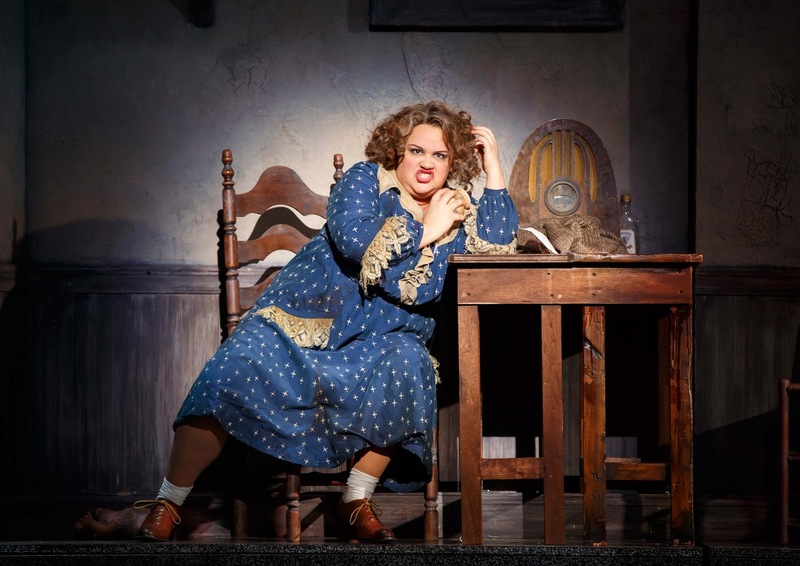 Lynn Andrews as Miss Hannigan was perhaps the most exuberant person on stage, and was well-received by the audience. The supporting cast - Grace, the orphans, Rooster, and Lily, especially - were all cast very well and helped put together a solid production. My only complaint about the production as a whole is the amount of mild language that is included in the script. I haven't read the original script - I assume it was written that way - but when I could overhear little girls in the row behind me saying "Mom, isn't that a bad word?" after multiple instances of one word in particular, that was frustrating. I know as a parent, I would probably have expected Annie to be an exceptionally family friendly show - this just makes the point that it is very important to always review the material before you take your kids to see it! It would be a difficult decision for a production staff to cut words from the original script, but when it appeared that at least fifty percent of the audience consisted of girls under the age of twelve, that may be something to consider. At least a reduction in the instance of the word might be appropriate, even if some language remained. 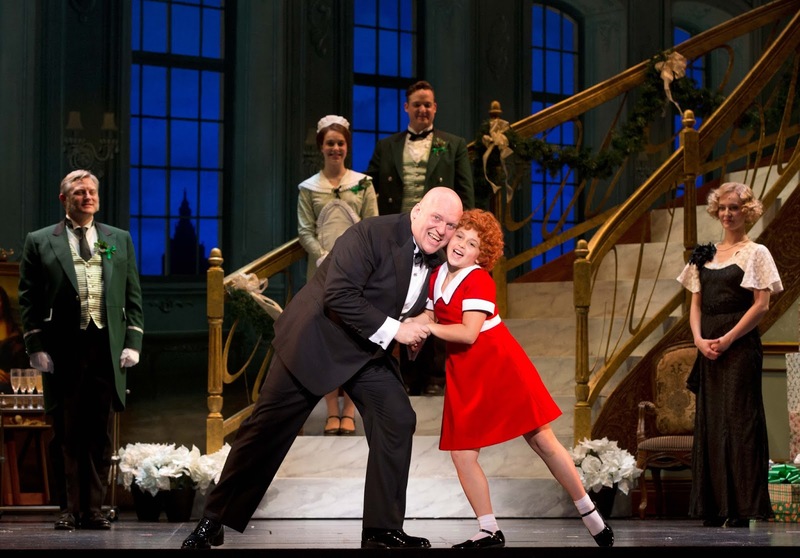 Tickets for Annie at Starlight Theatre are on sale now for $12 to $92. Tickets are available online at Starlight Theatre, by calling 816.363.STAR (7827) or at the Starlight box office at 4600 Starlight Road, Kansas City, MO 64132. All performances begin at 8 p.m.
You can follow the Annie Tour on Twitter and Facebook, as well.